In December, we went to Willows Farm Village’s Christmas Santa Spectacular and had a great time. Willows Farm Village hosts special seasonal events throughout the year and the next one is February Frolics, during half term. The award-winning family attraction will see hundreds of lambs being born in its Lambing Marquee everyday between 15th and 23rd February 2014. Farmers Andrew and Anna will be on hand to tend to the ewes and to teach visitors about the fascinating lambing process, making February Frolics a fun and educational day out. You can also keep up to date with the baa-hind the scenes action in the Lambing Marquee after your visit by logging on to the Willows ‘Lamb Cam’ which shows live images around the clock. If you can tear yourself away from the adorable lambs long enough, there’s also a full programme of activities to enjoy during your visit including; Toddler Town, Woolly Jumpers Indoor Play Barn, fun fair rides, animal shows and your favourite animal friends in The Farmyard. We are looking forward to February Frolic Lambing Event, hope to see you there! 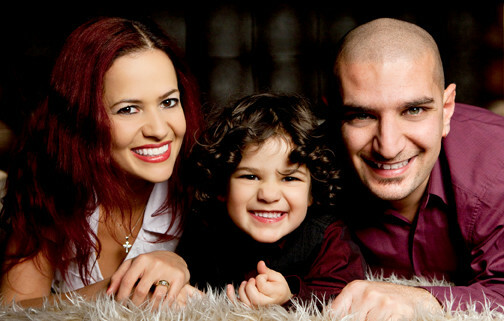 For more information visit www.willowsfarmvillage.com or call 0870 129 9718. 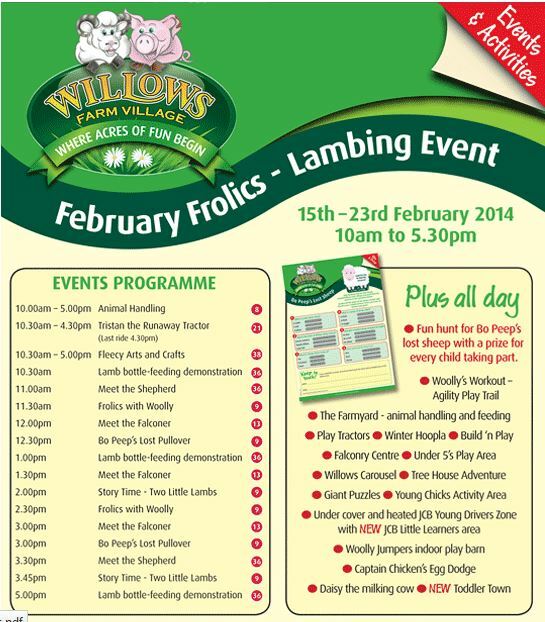 One Response to "Half Term Fun: February Frolics Lambing Event at Willows Farm Village"